Just like any business, one of the main parts of an agent’s job description is generating and processing leads to turn those leads into clients. However, many agents who are just starting out may have a hard time figuring out which leads are worth working on or even where to get started. While there are a number of ways to find leads, a lot of recent real estate technologies are looking to help agents streamline the process. 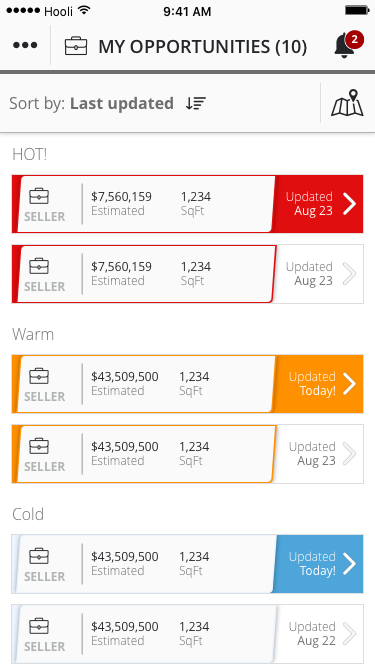 One of the latest technologies on the block is SetSchedule, which is looking to be more than a basic lead generation tool that is hoping to help agents take their sales to the next level. According to Daniel Parzivand, the vice president of sales operations at SetSchedule, this technology has a number of features that should provide agents with more valuable leads. One of those features is the Referral Radar, a lead exchange platform where agents are able to search through the prequalified leads generated for them and take action on demand. Agents can review through the information provided by SetSchedule, which includes information on how soon a buyer or seller is looking to take action. From there, users will be able to purchase the leads and work it. “We believe we’ve created an eco system for agents to take control over their lead generation base and to decide how far you want to take it,” Parzivand says. Premium members will get a minimum number of leads as well as the option to turn those leads into scheduled meetings with the lead. Using the program, the platform will then track the activity that has occurred between an agent and the lead from until the sale is closed. Not only do users get basic information on each lead, SetSchedule also enables agents to even more information through the Research Center. It provides access to public information that most agents would not have access to include a value report, which gives an estimated valuation based on a few platforms and market trends in the area. “This tool enables agents to be like their own title officer,” Parzivand says. However, SetScheule recognizes that agents need more than just good tech to improve, which is why they have included a mentorship aspect to its platform. This connects users with agents who have been in the business and have experience so that they can get the help that they need. “We like to help our members close because it helps us to help them,” he says. Mike Glass, associate broker with EXIT Team Realty in Atlanta, uses SetSchedule along with a number of other lead generation tools and finds that, as a premium member, he gets a significant number of leads through the platform. In fact, Glass says he gets more leads than he is able to follow up with. However, Glass says he recently started a new team so he was looking for new ways to provide his team with leads. But it is up to each individual agent to figure out what will work for them and convert the leads into sales. “You get decent leads but just like with any lead generating system they need to be nurtured,” Glass says. While Glass notes that the platform isn’t perfect – he is hoping that there are some updates that will make it so it will sync to Google calendar and to make the activity page more organized for agents – the team at SetSchedule has been responsive to hearing feedback. Parzivand says that the feedback is an integral part of the company as they recognize that they are relatively new to the space and will need to make adjustments as more agents sign on.